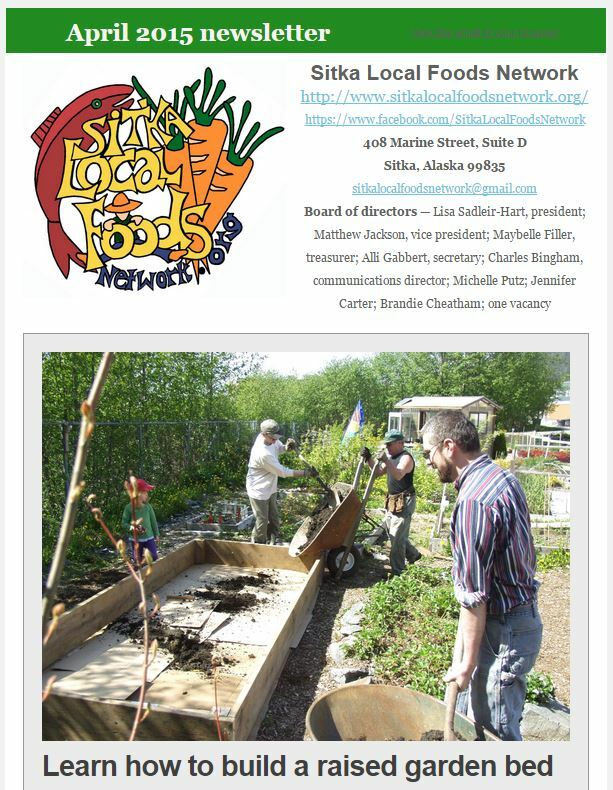 University of Alaska Fairbanks Cooperative Extension Service Professor Emeritus Bob Gorman will lead a walking garden tour at 6 p.m. on Thursday, July 31, as part of the Sitka Seafood Festival. The tour should last about 90 minutes, and participants should dress for the weather and be prepared for a walking tour with several stops. The garden tour will feature visits to a mixture of ornamental landscapes and food gardens in the downtown area. Many of these gardens on this tour are private, home gardens, so no public map will be released for privacy reasons. 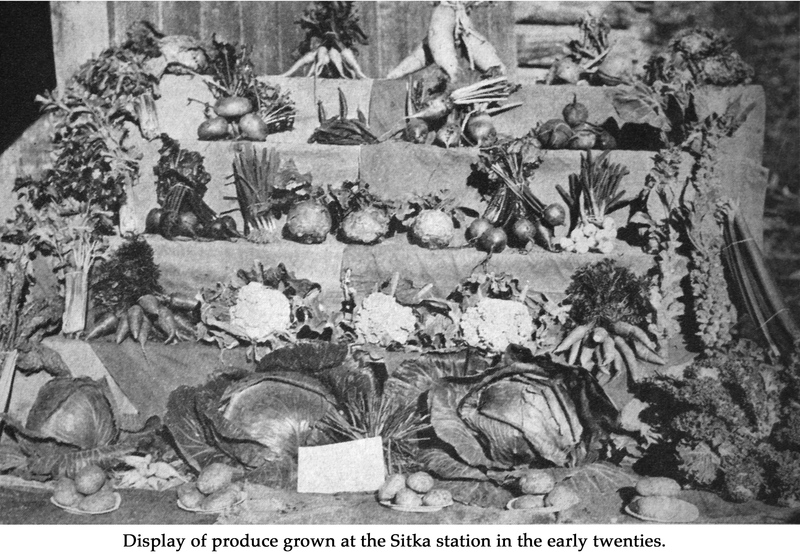 However, last September when a cruise was in town with participants in the 2013 International Master Gardeners Conference, there was a similar tour of public gardens in town and there was a map (PDF document) provided to participants (note, the USDA Experimental Farm site in Sitka usually is closed to the public). The event is free, but pre-registration is required and can be done by calling UAF Cooperative Extension Service Sitka District office at 747-9440 or emailing Jasmine Shaw at jdshaw2@alaska.edu by noon on July 31. 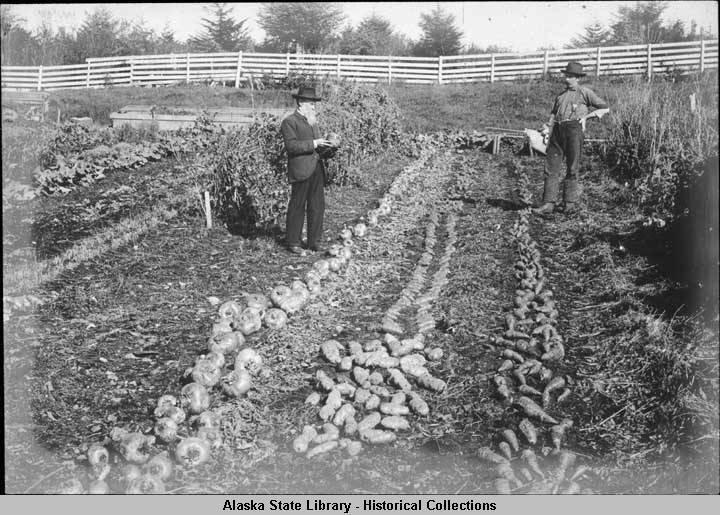 Bob Gorman with the Sitka District office of the University of Alaska Fairbanks Cooperative Extension Service will host a two-part informative class on Mondays, April 21 and 28, about the unique challenges of gardening in Southeast Alaska. He also will host a workshop on Tuesday, April 22, about sustainable wood heat options for rural Alaska. 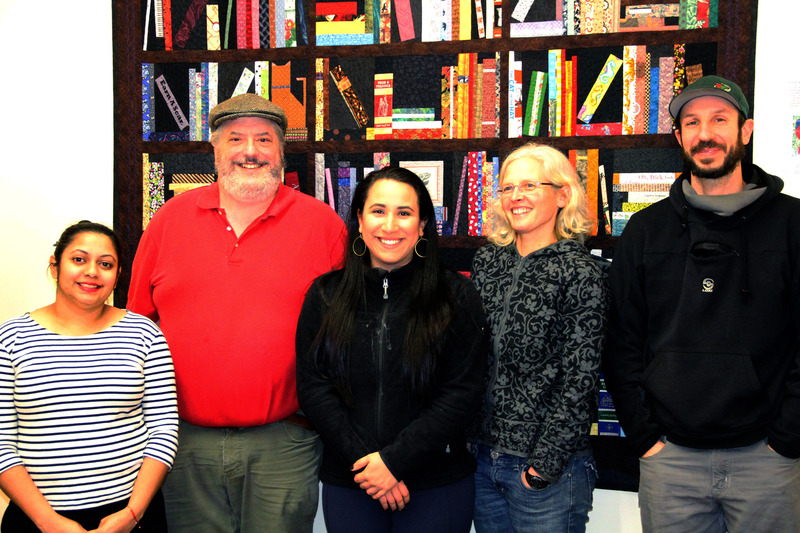 All classes will take place at the University of Alaska Southeast Sitka Campus. 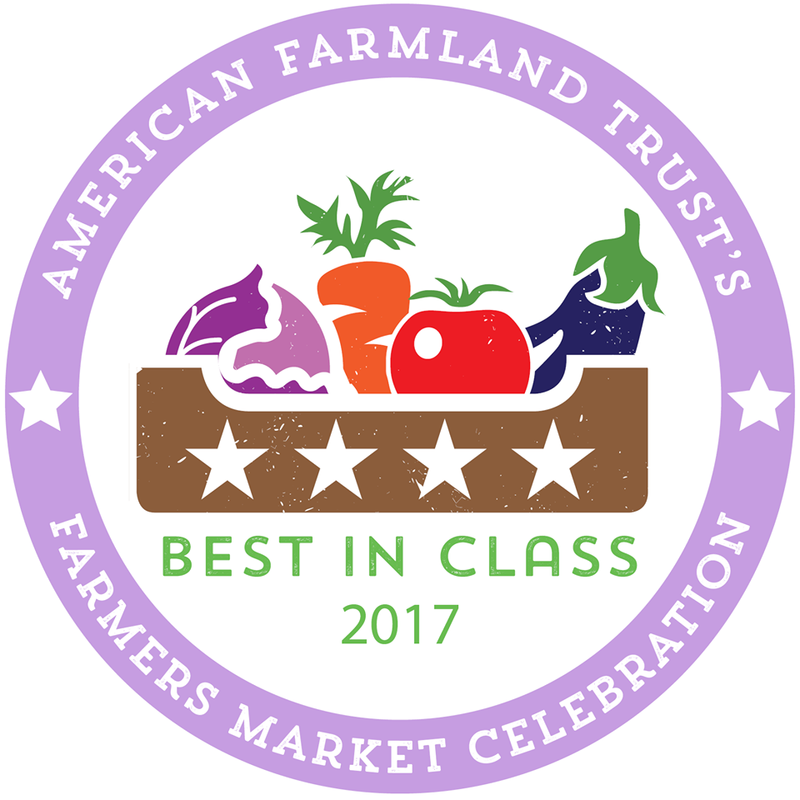 The two-part class about Southeast gardening will include topics such as selecting and starting seeds, transplants, grow lights, greenhouses, growing media, and managing garden soils. These are the last three workshops Bob will teach before he retires after a long career with the UAF Cooperative Extension Service in Sitka. 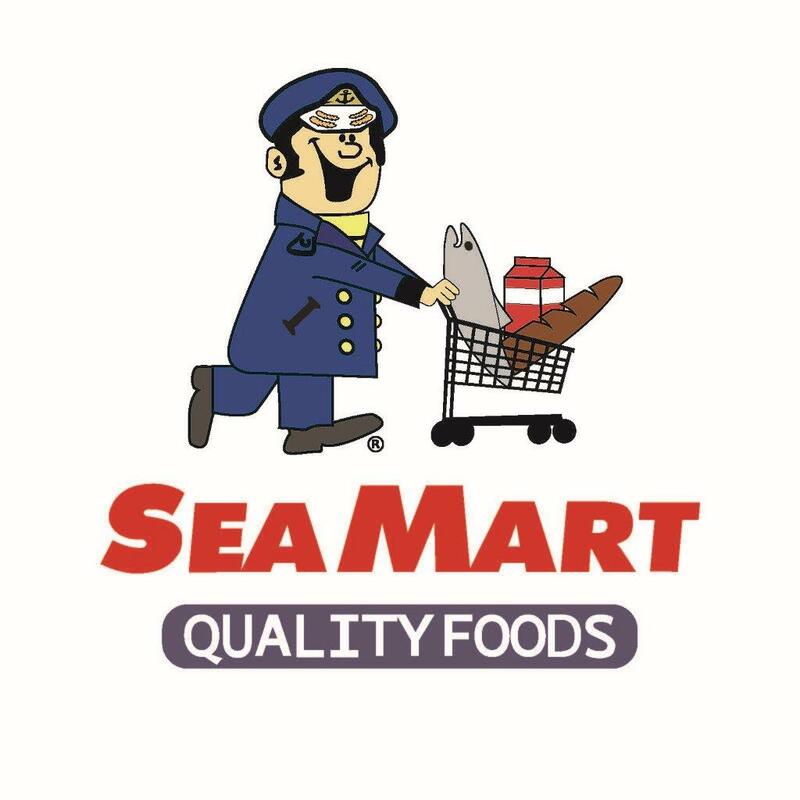 For more information, call the Sitka District office of the UAF Cooperative Extension Service at 747-9440. 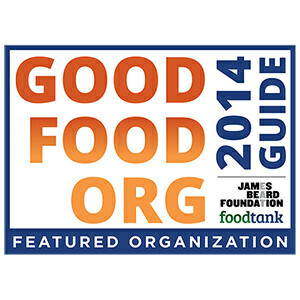 Earth Day is on Tuesday, April 22, and Earth Week is April 20-26. 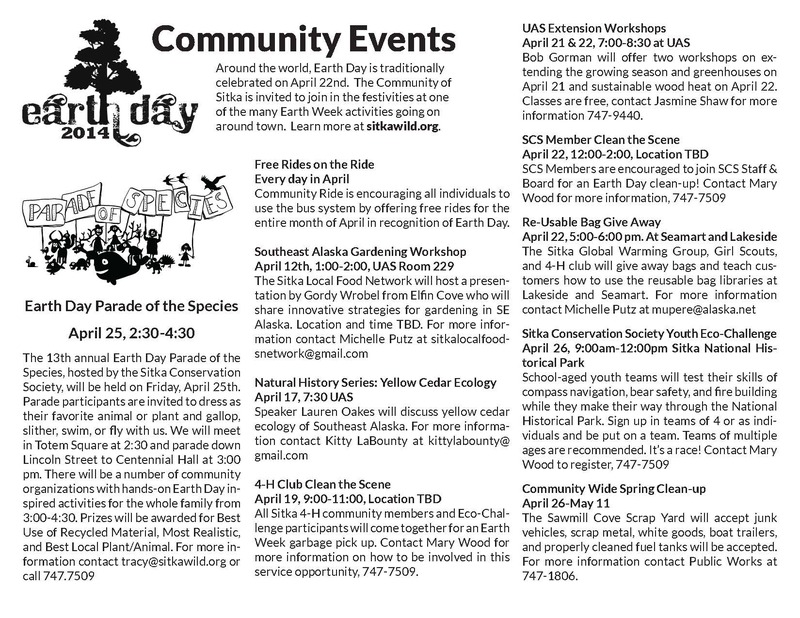 Sitka will host a variety of activities for Earth Week, including some gardening classes, a youth eco-challenge, free bus rides all month, spring clean-up events, and the 13th annual Parade of the Species. 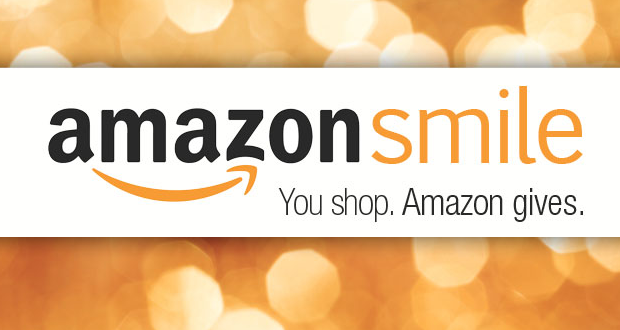 Click the event names at this link for more activity details. 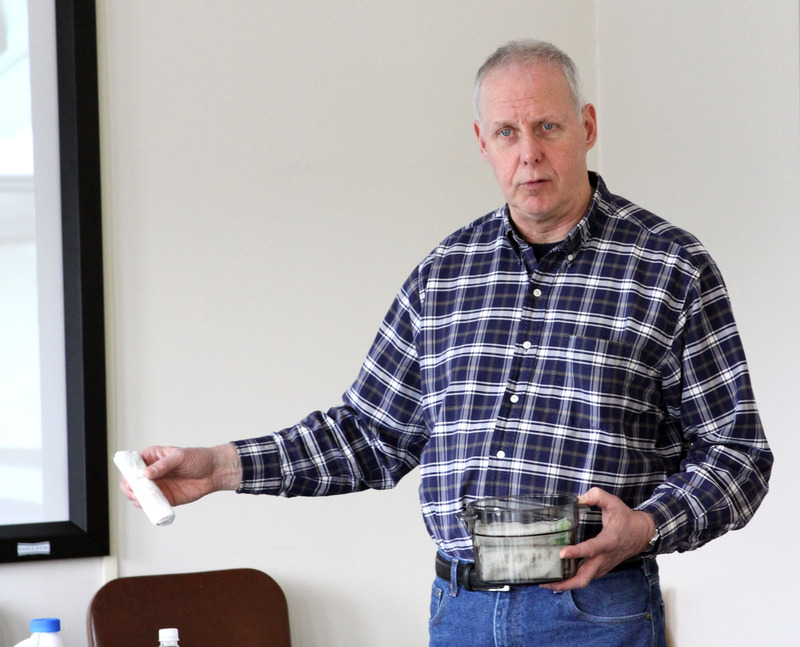 Giving Earth Week an early start is a presentation at 1 p.m. on Saturday, April 12, in Room 106 at the University of Alaska Southeast Sitka Campus, when Gordon Wrobel will discuss his three-year USDA project to build local food systems in Elfin Cove. 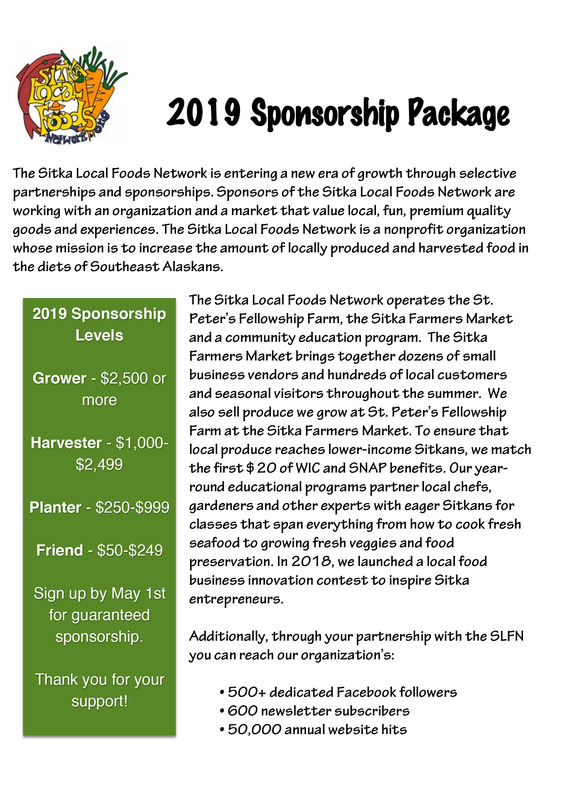 Contact the Sitka Local Foods Network at sitkalocalfoodsnetwork@gmail.com for more information. 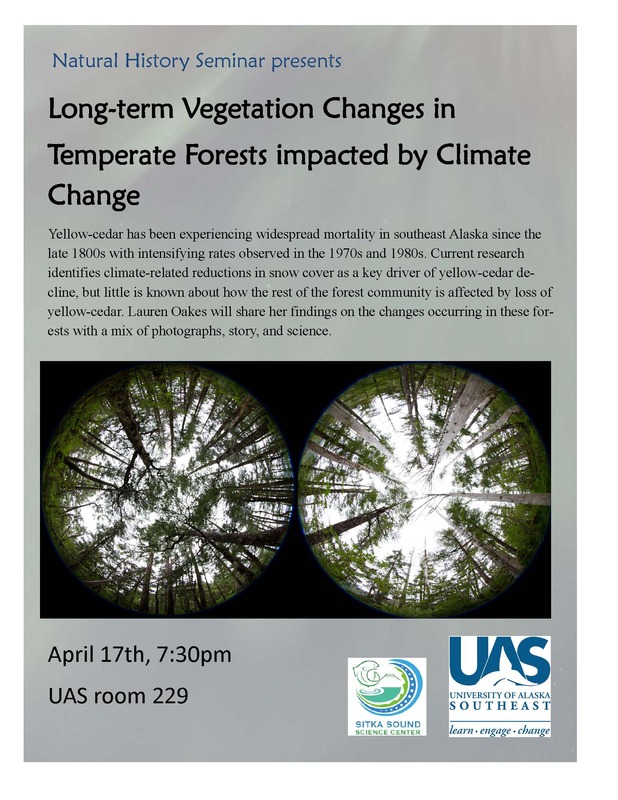 Lauren Oakes will discuss yellow cedar ecology and long-term vegetation changes in temperate forests impacted by climate change at 7:30 p.m. on Thursday, April 17, at the UAS Sitka Campus as part of the ongoing Natural History Seminar Series. 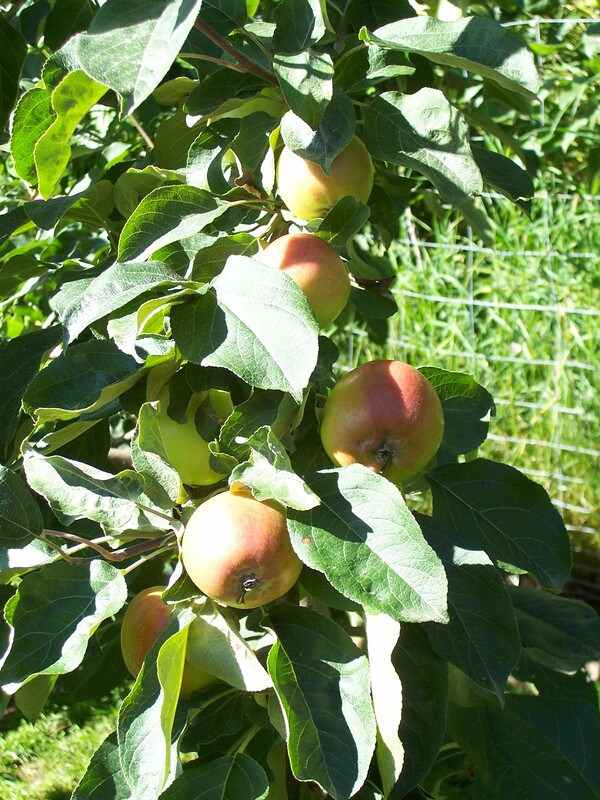 Bob Gorman of the Sitka District office of the University of Alaska Fairbanks Cooperative Extension Service will give two presentations at 7 p.m. at the UAS Sitka Campus — on Monday, April 21, about extending the growing season and greenhouses, and on Tuesday, April 22, about sustainable wood heat. through May 11, when people can bring in a variety of large items and hazardous materials to the Sawmill Cove Scrap Yard, hosted by the City and Borough of Sitka Public Works Department. The Sitka Community Ride bus service will provide free bus rides during the entire month of April in its annual recognition of Earth Day. 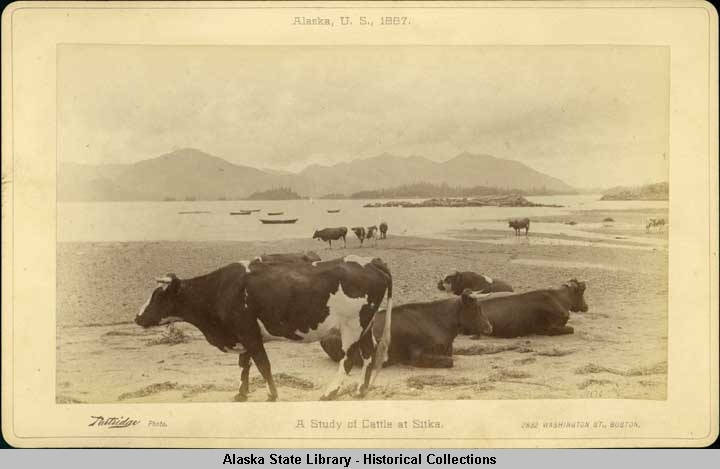 The youth eco-challenge is from 9 a.m. to noon on Saturday, April 26, at Sitka National Historical Park. School-aged youth teams will test their skills of compass navigation, bear safety, and fire building while they make their way through the Sitka National Historical Park. 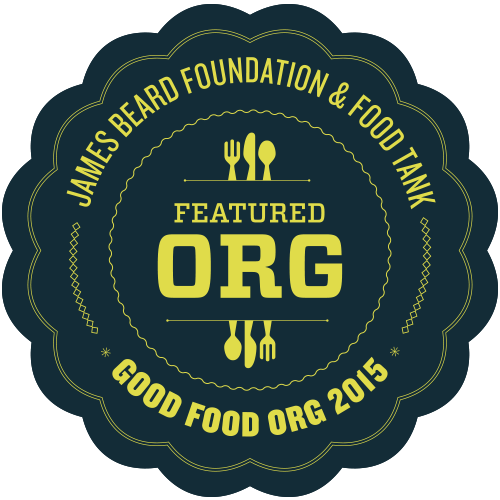 Sign up in teams of four, or as individuals and be put on a team. 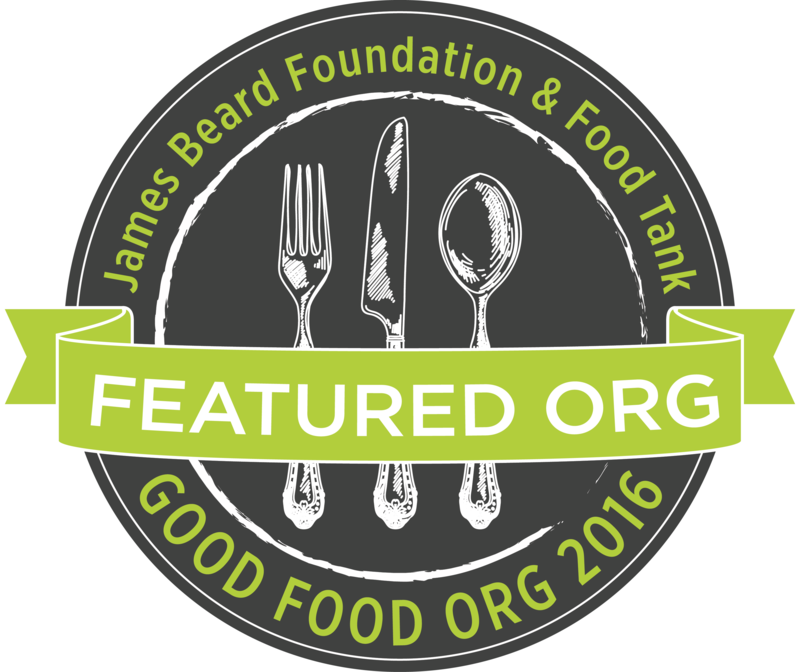 Teams of multiple ages are recommended. It’s a race. Contact Mary Wood to register, 747-7509. 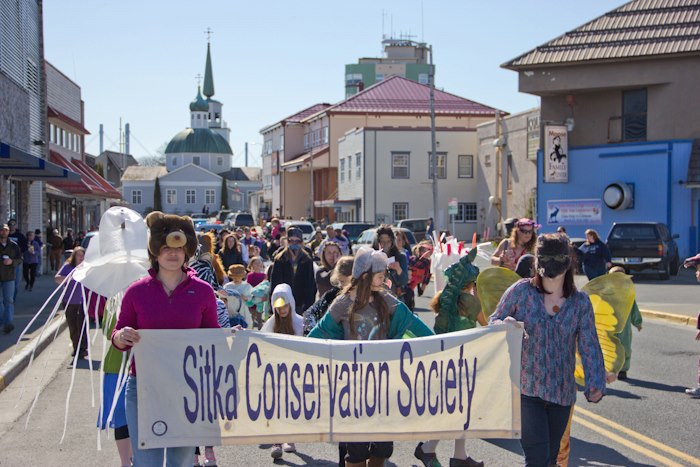 Finally, the 13th annual Parade of Species, hosted by the Sitka Conservation Society, is on Friday, April 25. 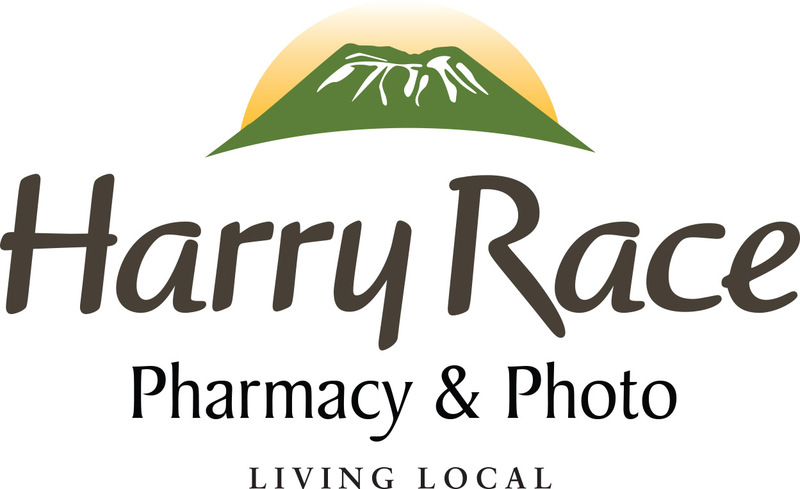 Parade participants are invited to dress as their favorite animal or plant and gallop, slither, swim, or fly with us. 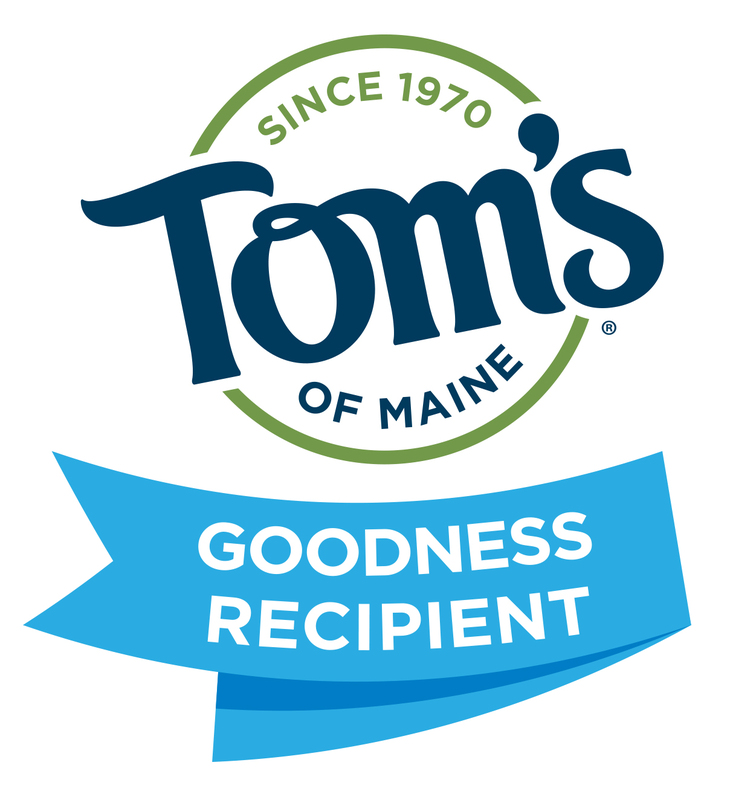 We will meet in Totem Square at 2:30 p.m. and parade down Lincoln Street to Harrigan Centennial Hall at 3 p.m. There will be a number of community organizations with hands-on Earth Day inspired activities for the whole family from 3-4:30 p.m. Prizes will be awarded for Best Use of Recycled Material, Most Realistic, and Best Local Plant/Animal. 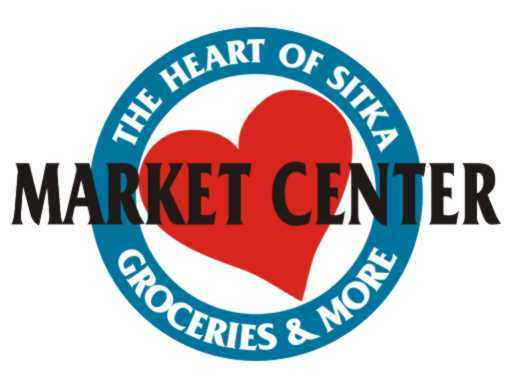 For more information contact mary@sitkawild.org or call 747.7509. Click here for photos of 2013 Parade of Species costumes. 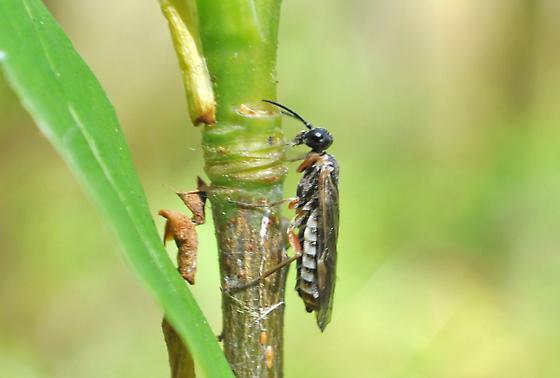 For the first time, an invasive insect called the green alder sawfly (Monsoma pulveratum) has been found in Sitka. 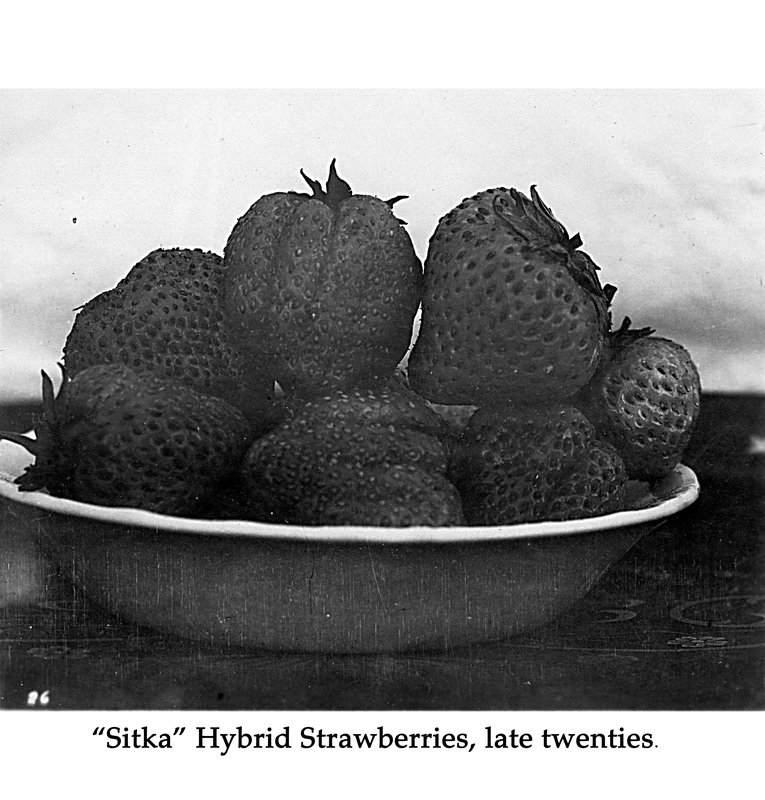 This insect is considered a danger to alder trees in Sitka and other Southeast wetlands. 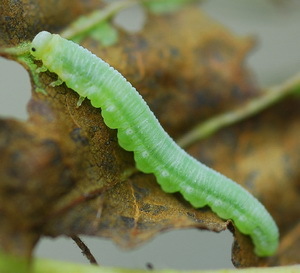 The green alder sawfly is native to Europe and North Africa, and its preferred diet is European gray alder. It was first reported in North America in 1995 in Newfoundland, Canada. In 2004 it was first collected in Alaska near Palmer. Since 2007, the green alder sawfly has been documented defoliating thin-leaf alder (Alnus glutinosa) in numerous locations in Southcentral Alaska, eliminating alder in some watersheds. The green alder sawfly has been found in red alder (Alnus rubra) trees along Sawmill Creek Road, Halibut Point Road and Jarvis Street. On Friday, KCAW-Raven Radio aired a story about the green alder sawfly with more details from Gorman and USDA Forest Service entomologist Liz Graham, who flew to Sitka from Juneau after Gorman sent her photos of the insect’s caterpillars. Please report any known or suspected infestations of green alder sawfly to the Sitka office of the UAF Cooperative Extension Service by calling 747-9440 or stopping by the office located in Room 122 at University of Alaska Southeast Sitka Campus. GPS (global positioning system) coordinates of known locations of the green alder sawfly will help in determining the extent of this insect, which probably overwintered in Sitka.